The aim of all TIR projects is to improve the human-animal relationship in a legal, ethical, and social sense. TIR supports and promotes the further development of law and ethics for the protection of animals and in the relationship between humans and animals both on a national and international level. The findings acquired within the scope of the foundation purpose are intended for implementation in jurisprudence and legislation. TIR advocates for the elimination of deficiencies in the animal welfare legislation and strives in particular to ensure the consistent implementation of existing provisions. For this reason, TIR campaigns on a political and legal level for the transfer of correct knowledge and a determined enforcement of the animal welfare provisions. The Stiftung für das Tier im Recht (TIR; Fondation pour l’animal en droit, Foundation for the Animal in the Law) is a charitable, operational, and fully independent non-profit organization. It was founded on December 21, 1995, and registered in the Commercial Register of Bern-Mittelland on March 29, 1996, under the number CH-035.7.000.389-7. It is subject to the supervision of the Federal Department of Home Affairs (FDHA). 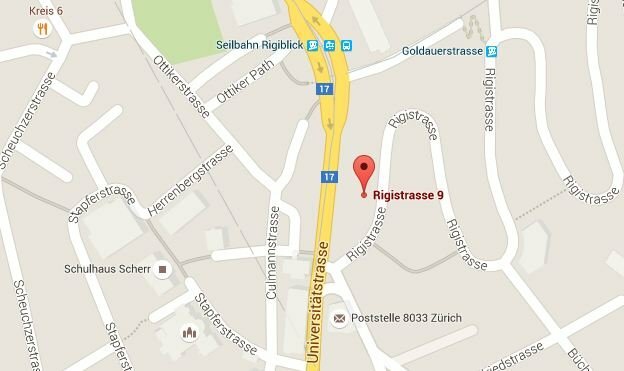 TIR's head office is located at Spitalgasse 9 in 3001 Berne and its business office at Rigistrasse 9 in 8006 Zurich. TIR has been advocating as a politically neutral non-profit-organization for the continuous improvement of the human-animal relationship in a legal, ethical, and social sense since 1996. We are dedicated to helping all animals, irrespective of whether they are pets, farm or working animals, laboratory, wild, or sporting animals. Animals are best helped by a level-headed and objective approach, which is why we are always resolute in our actions but never radical, let alone militant. We pursue realistic goals and work together with authorities and other organizations so that we can achieve more by effectively combining all efforts. Although animals are of great importance in our society, the existing laws are not providing sufficient and overall protection for them. Furthermore, the enforcement of the applicable provisions leaves much to be desired. We confront these issues by tirelessly working on raising the legal standards to meet high ethical requirements. For this purpose, we analyze the weaknesses in our legislation and its enforcement and develop practical suggestions for a solid legal basis for animal protection. By working together with politicians, we aim to introduce our suggestions into the legal system. Unfortunately, animal abusers are not persecuted consistently. In order to improve legal enforcement, it is imperative that the shortcomings of criminal investigations and court practice be exposed. For this reason, we collect all cases of animal-related offenses in Switzerland that have been reported to the Federal Office for Food Safety and Veterinary Services (FSVO) during each year and add them to a database. The anonymized cases, which have been collected since 1982, can be found online. Correct and responsible treatment of animals demands profound knowledge of the legislation on the human-animal relationship. We offer educational and further training courses, conveying basic and detailed knowledge to animal owners, authorities, and organizations. In order to advance scientific work in the field of animal welfare law, we teach regular courses at universities, professional schools and colleges, and other educational institutions. We also maintain a constant dialogue with representatives of other branches of study, such as veterinary medicine, zoology, sociology, theology, ethics, and philosophy in order to promote essential interdisciplinary exchange. Young committed people are extremely important for the continuous development and long-term improvement of animal protection. We therefore train motivated lawyers as specialists in the field of animal welfare law and offer them an opportunity to contribute to the well-being of animals on an academic level. We also support doctoral candidates, students, and pupils during the course of their doctorates, term papers, and diploma theses, by providing professional advice and valuable contacts. In order to spark and encourage enthusiasm in interested students and graduates, we offer short internships, thus providing deeper insight into our day-to-day work, as well as initial experiences in animal welfare law. So far, more than 100 people from Switzerland and abroad have completed an internship at TIR. In order to raise public awareness on the great responsibility towards animals, we offer well-founded information on the needs of animals and the respective legal bases for their proper treatment. Apart from legal reference books and expert opinions, we regularly publish informational brochures and articles in the specialized press and daily papers. We also speak at congresses, conferences, and at other events in Switzerland and abroad, referring to various aspects of human-animal relationships. Our objective groundwork makes us a reliable information center for print and online media as well as radio and television. TIR works with like-minded organizations on a regular basis and maintains an intensive exchange of information with authorities, institutions, and specialists. On a national level, we offer, among other things, our expertise to the Association for the Coordination of Cantonal Animal Protection (KKT) Zurich (umbrella organization for all animal welfare organizations of Zurich) and to The Swiss Animal Alliance (AAS). In a time of growing globalization, worldwide exchange of information has become very important for the further development of animal welfare. For this reason, TIR works closely with various international organizations with the aim of mutually benefiting from experiences, promoting an understanding for national peculiarities, and developing transnational solutions. TIR is also a member of the German Lawyer's Association for Animal Welfare Law (DJGT), which brings lawyers interested in animal welfare closer together, with the aim of promoting the further development of animal welfare legislation and an effective enforcement of the existing legal regulations. Furthermore, we belong to the European Enforcement Network of Animal Welfare Lawyers and Commissioners and are a part of the EuroGroup for Animal Law Studies (EGALS). TIR also works on implementing international animal welfare projects together with the renowned Center for Animal Law Studies (CALS) at the Lewis & Clark Law School in Portland (Oregon, USA). Apart from our legal policy work, we offer a wide range of services for the correct treatment of animals. In doing so we are making the relevant basic knowledge generally accessible and raising public awareness for animal welfare. The large amount of objective and practical information is directed at any interested person. We offer reliable support to animal owners, lawyers, enforcement bodies (veterinary services, administrative authorities, police, prosecution and judicial authorities), veterinarians, politicians, media professionals, schools of all levels, and animal welfare organizations or other organizations seeking advice regarding the animal in the law. We publish concise and easily comprehensible standard works on the legally correct way to handle animals for specialists and interested laymen. Our practical guidebooks "Tier im Recht transparent (2008)" and "Pferd im Recht transparent" (2015), in particular, have become quite popular. Both publications contain answers to more than 500 legal everyday questions regarding pet keeping and horse husbandry. In 2011, TIR also launched the book series "Tier im Recht", which makes selected monographs, expert opinions, and scientific papers on legal and ethical aspects of the human-animal relationship accessible to a broad public. The individual volumes contribute to the promotion of scientific discourse and offer academics, students, practitioners, and enforcement authorities an extensive source of information on animal welfare law and ethics. All TIR publications are available in our shop. Our specialized library with around 18'500 publications (books, essays, DVDs, etc.) on animals in law, ethics, and society is the heart of TIR (current status, 2016). It also holds the literary collection of the archive for ethics in animal welfare, nature conservation, and environmental protection (AET), which was given to us by the late Prof. Dr. Gotthard M. Teutsch – one of the most influential animal ethicist of the 20th century. A large part of our foundation's library consists of an extensive media archive with newspaper and magazine articles on roughly 200 animal welfare subjects and is expanding constantly. For this purpose, TIR regularly analyzes the most important daily newspapers and also numerous other publications and professional magazines. Being the largest literature collection on the human-animal relationship in the German-speaking area, the library provides practitioners, researchers/academics/scientists (Wissenschaftler? ), students, and media professionals with an almost inexhaustible source of information for their work. It also offers a pleasant workspace and is available to all interested individuals for free upon prior appointment. The bibliographical data on most titles can be found online. Animal law is a complex and oftentimes overwhelming subject for people without a legal background. We offer valuable assistance in legal matters concerning problems with or because of animals, by providing information over the phone and in writing to private individuals, organizations, authorities, and media professionals seeking advice. Our team of experts answers more than a thousand legal inquiries per year. Answers to the most frequently asked questions can be found online (in German). TIR does not offer legal representations. However, we refer concerned parties to specialists and provide the latter with advisory support on animal welfare issues. Our aim is to make practical and helpful services and detailed background information on legal and practical animal welfare available across all channels. For example, in our animal welfare lexicon (in German), interested individuals can look up the most important animal welfare-related terms and their legal nature. Numerous links and cross-references make it easier to search for the corresponding animal welfare provisions. The chapter on the legislation regarding dogs (in German) provides an overview of the current corresponding laws in the 26 Swiss cantons and also on the changes that are being pushed for on a policy level with regard to dangerous dogs. In the chapter on legislative texts, TIR also offers an overview of all other animal-related legal areas and the corresponding provisions according to their latest amendments. In our argumentarium (in German), interested individuals can find information on the positions we have adopted and helpful arguments regarding controversial animal welfare topics. An overview of our current projects can be found here (in German).